Woodcarving allows the artist to create sturdy, low-cost sculptures for decoration, such as a wooden whale. Whales come in many shapes and sizes. Before you start carving, pick out the species of whale you want to create. 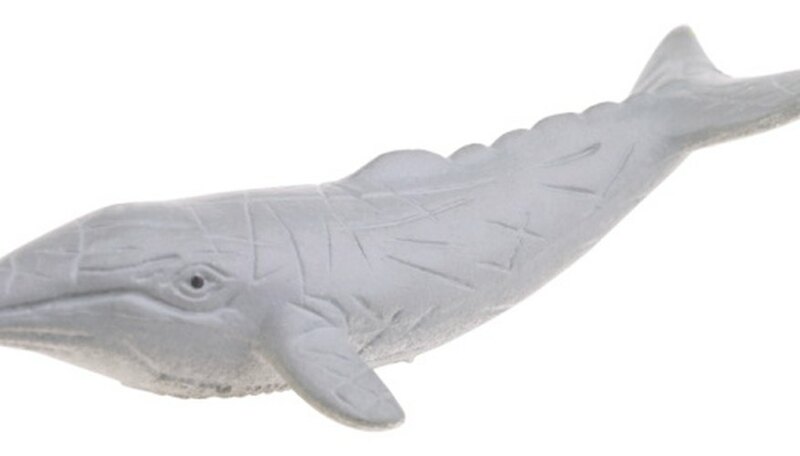 To make your own whale sculpture, print out a picture of a whale and glue it to a wooden board. Cut off the excess wood and chisel edges to a round bevel. Finish off your whale with sanding and detail work. Print out a picture or pattern of a whale. Cut the excess paper away. Glue the whale paper pattern to a piece of wood. You can use white glue. Let the paper dry. Cut out the whale with a hand saw or using a jig saw. Using the jig saw will go faster. Use wood chisels to bevel down the edges of the wood to give the whale a round appearance. Cut away the paper as you go. Chisel down the features of the whale to create a tapered edge from the front to the tail. Use a small chisel to carve out the lines of the fins, eyes, and mouth and add accents to the tail and belly. Sand the wood smooth with sandpaper. Use this time to sand away any remnants of the whale pattern. Use the chisel to finish off the fine details.